Schulte Staffing is currently seeking forklift operators, warehouse professionals for our clients located in Peabody. These opportunities are full time, temp-to-perm. 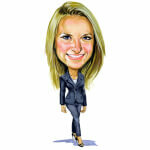 As the managing partner of Schulte Staffing Solutions, Niki has many responsibilities. Niki leads the way for Schulte Staffing in all of its innovative administrative software and recruiting processes. Niki is always striving to ensure we have the tools in place to provide the BEST service to our clients and employees. Niki strives to form long-lasting business relationships and works to provide the best fit for both the client and the candidate. Niki comes from a background of administrative and customer support, primarily in the logistics industry, and in 2009 had the opportunity to work with her father, Brad, in the staffing industry. Outside of Schulte Staffing, you can find Niki enjoying time with her family hiking, beaching and playing in the snow!